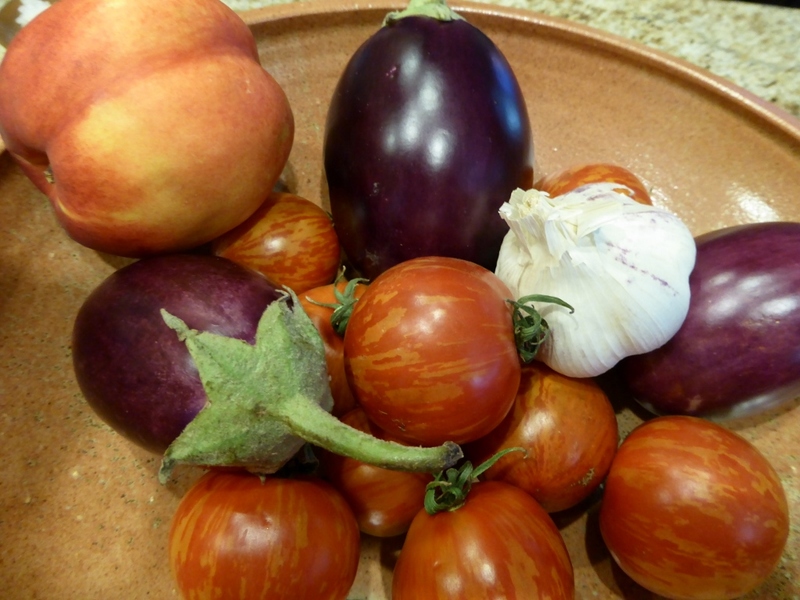 I still have some cute little Indian eggplants and tiger tomatoes left from my foray to the farmer’s market on Saturday. Since the thermometer reads about 105 today, it is a good day for something salad-oid. 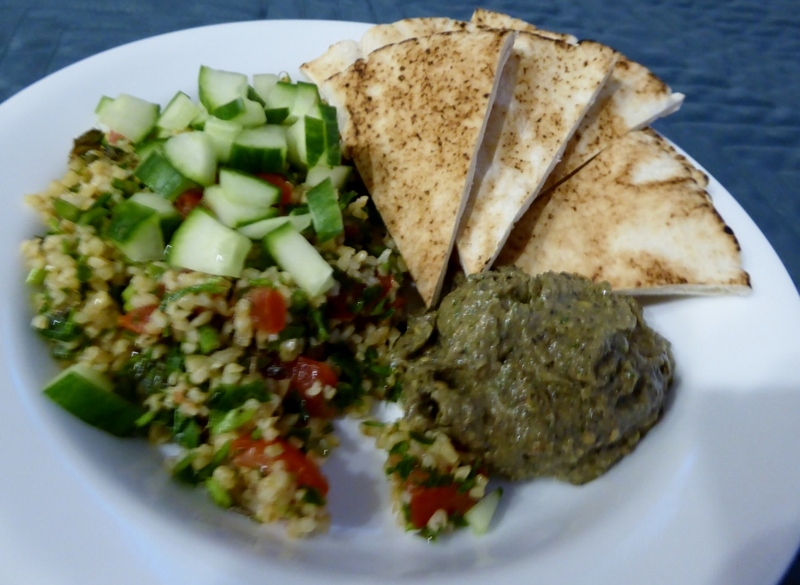 I decide to make baba ganoush out of the eggplants and incorporate the tomatoes into some tabbouleh. The baba ganoush turns out okay but nowhere as good as Alessio’s aubergine spread. I think this product is only available in Northern California. It is so delicious and really spoils you for any other eggplant spread. But my baba ganoush is tasty and everyone eats some. The tabbouleh, on the other hand, turns out spectacularly. I use the America’s Test Kitchen recipe which soaks the bulgur in the juice from the tomatoes and lemon juice. It adds so much flavor that just soaking in water loses out on. I use some parsley from the backyard, along with mint, tomatoes, olive oil, lemon, and garlic. Yum!